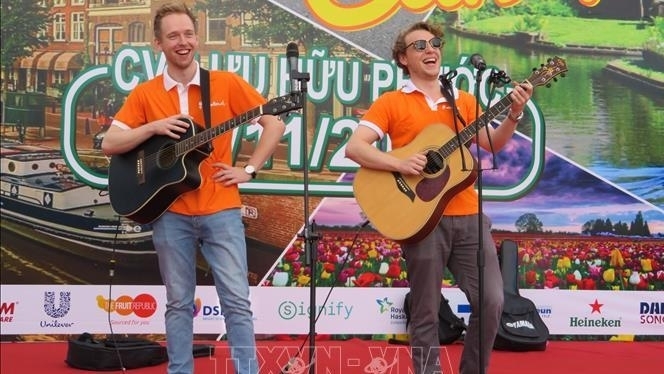 The Dutch Cultural Festival opened in the Mekong city of Can Tho on November 10, as an event to mark the anniversary of Vietnam-Netherlands diplomatic relations (1973 – 2018). The opening ceremony attracted a large number of locals and visitors, who excitedly took part in a range of activities, including arts performances, a parade of orange bicycles, a photo exhibition, and a space highlighting the Netherlands’ cuisine. 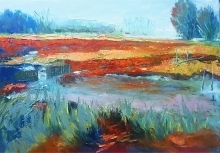 There are also activities seeking to strengthen the trade and educational connectivity between Vietnam and the Netherlands, a Dutch education workshop, and film screenings on the Dutch culture. Dutch Ambassador to Vietnam, Elsbeth Akkerman, affirmed that, with their close relations over the past 45 years, Vietnam and the Netherlands will make new strides in fostering bilateral links in trade, culture, tourism and education. The Netherlands will exert efforts and implement plans to help Vietnam improve the livelihood of people in regions which are prone to climate change and increase the application of technology in agricultural production, she asserted. For his part, Vice Chairman of the Can Tho city People’s Committee, Truong Quang Hoai Nam, emphasised that the Netherlands is a strategic partner of Vietnam in general and the Mekong Delta in particular. Therefore, as the center of the region, the Can Tho city authorities will roll out efforts in attracting investment, upgrade infrastructure and reform administrative procedures to strengthen the trade and cultural exchanges with the Netherlands, he stressed.